Traumatic brain injury (TBI) can be caused by car or motorcycle accidents, sports-related injuries, explosive shock waves, or falls. Brain injuries range from mild to very severe and can cause personality changes, and affect sleep patterns and bodily functions. The most serious types of brain injuries can cause lingering or irreversible brain damage. What Are Common Symptoms of Traumatic Brain Injury? The most severe brain injuries can cause coma or a vegetative state. In comas, there are no signs of either wakefulness or awareness. In vegetative states, the victim is awake but shows no indication of awareness. Traumatic head injuries are often caused by not wearing a motorcycle or bicycle helmet. In a fall or accident, wearing a helmet can mean the difference between life and death. Riders who do not wear helmets are 37 percent more likely to die in an accident than riders who wear one. In a settlement or lawsuit, if it is determined that any portion of a victim’s injuries were caused by the failure to wear a helmet, this fact can reduce the amount of compensation the victim receives. 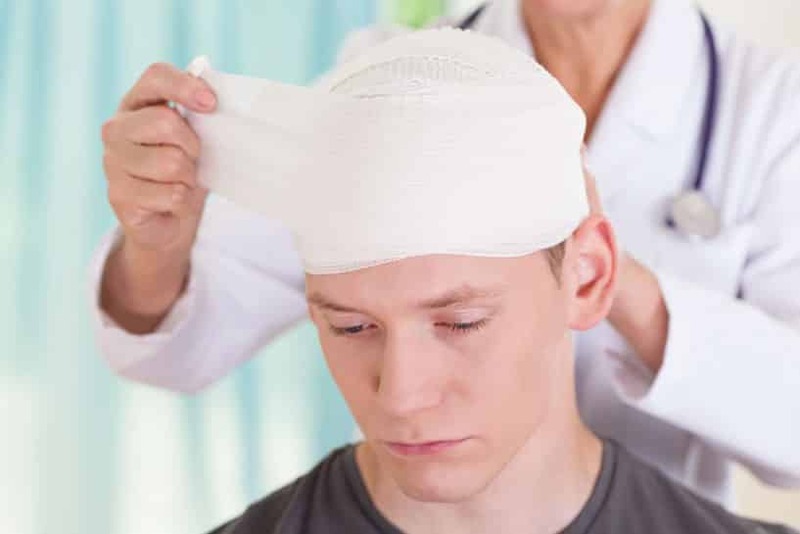 Traumatic brain injuries can result in extensive medical expenses for surgeries, physical rehabilitation or therapy, and prescription medications. TBI victims with severe brain damage, coma or vegetative state almost always lose income and employment. The emotional trauma associated with a brain injury can also result in quality of life changes for the victim and family members. No one should have to cope with the burden of brain injuries alone. Attorney Nathaniel B. Preston (“Nate”) understands the pressures and pains you are facing and will guide you in the right direction and assist you in making the decisions that are best for you. Arizona has no limits or caps on recoverable damages for medical expenses, permanent disability, loss of current and future wages, loss of enjoyment of life, pain and suffering, and mental anguish. Nate will help you and your family recover the maximum award possible as compensation for your injury. If you or a loved one has suffered a traumatic brain injury in Mesa, Glendale, Scottsdale or the greater Phoenix area, contact Nate today to set up your free initial case evaluation by filling out the online form or by calling 602-652-2009.